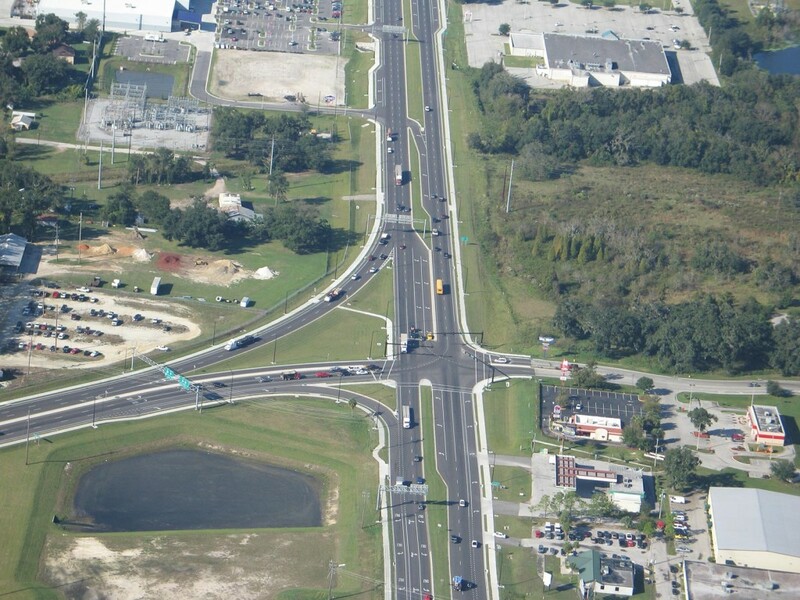 KCA completed construction plans for the widening and reconstruction of the SR 60A (Van Fleet Drive) and US 17 Interchange in Bartow, Florida. The project consisted of reconstructing SR 60A and US Highway 17 from a two-lane rural facility to a four-lane divided urban highway. The reconstruction limits encompassed approximately 2 miles. Five intersections were reconstructed and mast arm signal structures were added. Adjustments to the roadway design and access were made to accommodate a new home improvement store that was planned and designed late in the construction process. Two new ponds were constructed, one of which was in the infield of the interchange. KCA was responsible for all facets of design including accommodating many utility adjustments, permitting, street lighting and traffic control.